The pressure heats up on the final day at Bartercard Sail Paradise. It may be the final day of racing but by no means has there been any easing off on the race course by competitors, the start line had as much if not more push and shove than day one. In race one both David Lambourne’s Lambourdini and Fred Bestall’s Auric’s Quest were pushed over the start line by fellow competitors forcing them to return and start again. With a state championship on the line getting a good start was imperative. Ray Haslar’s Rikki showed outstanding tactics and skill crossing the start line first and rounding the top mark in front, continuing to win line honours. 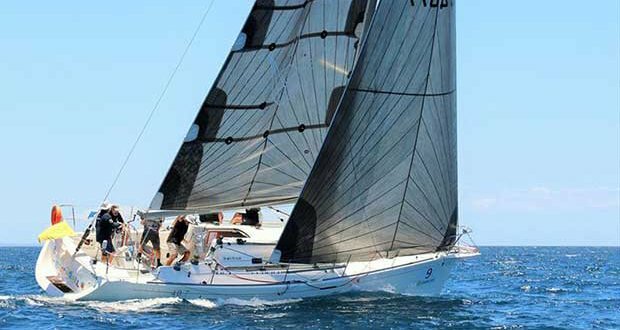 Bradley Ginnivan on Beach Ball sailed to perfection with an almost perfect series score, taking out the crown as the 2018 Queensland Yachting Championship. Performance Racing one was just as tight at the beginning of race one, with multiple boats inches away crossing the start line as they head towards the top mark. The top four places were closely fought out by local Gold Coast boats. Glenn Burrell on Wildflower 2 won the division followed closely behind by Brian Atchison on Envy. Graham Sherring’s Retuned took out the double, winning both the 2018 Australian Sports Boat Queensland Championships and the 2018 Queensland AMS Championships. The boat was unstoppable by winning every race within the series. Yesterday’s day three saw some tight competition for Retuned with Chris Noyes on Fastway Couriers taking the lead on the start line and leading the Division to the top mark. “We got a great lead on the start line rounding the top mark ahead of our fellow competitors. The breeze on the second half of the regatta suited us better, however Graham and his crew were just that little bit faster,” said Commodore Kerry Noyes, sailing onboard with son and skipper Chris Noyes. “It has been an amazing start to the year with three major sailing events happening on the Gold Coast shoreline. 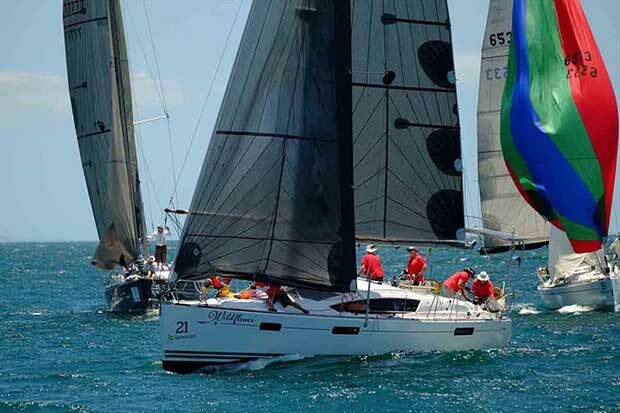 The sailing standards have been remarkable, and we look forward to the skippers and their crew joining us back in 2019 for the 10th Anniversary of Southport Yacht Club’s Bartercard Sail Paradise Regatta,” said Vice Commodore Sail, Ray McMahon.